CoolDrive EFI Division is part of the CoolDrive Auto Parts business focusing on supply of automotive electronic, fuel injection, engine management & ignition system components to the automotive aftermarket industry. As an importer-distributor, CoolDrive EFI Division seeks to supply quality goods at competitive prices, and with unequalled service. CoolDrive is known as Australia's premier supplier of automotive air conditioning, engine cooling, engine management, rotating electrical, accessories and workshop products. 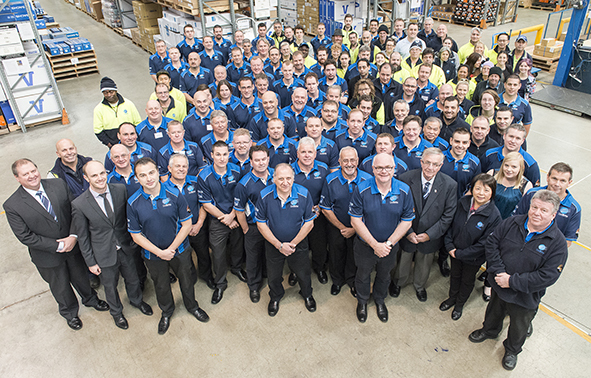 Operating from branches in all mainland states, with distributors in New Zealand, CoolDrive was established in 1977 and now employs about 400 staff in Australia and New Zealand. Our worldwide networks and reputation enables us to cover a diverse market range for our customers, with leading vehicle component manufacturers among our main suppliers. Our customers enjoy the benefits of the unbeatable buying power that our size provides and our hands-on service-oriented culture allows us to respond to the needs of our customers both large and small. The Jayair, Jayrad and Jaylec range of products represent our own brands of quality air conditioning, radiator and electrical products. These and other parts across a range of over 60,000 parts are available from CoolDrive (trade only) and through major distributors in all states. Supplying new engine management components is our business, however, an extensive range of re-manufactured exchange products are also available, in conjunction with CoolDrive AFI’s test and repair facility.